I somehow handheld this shot .. 5sec @ 5.6 ISO 1600. 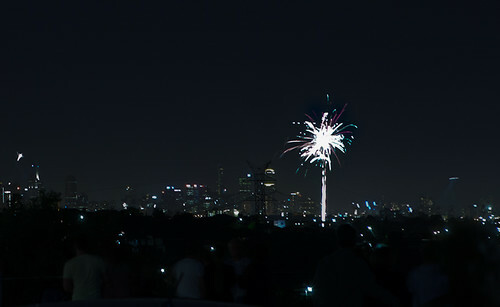 Taken up near Essendon in Melbourne, Australia – Backyards everywhere had their own fireworks going. One of the best weather New Year Eve’s we’ve had for a long time! Hope everyone had a good night. I’m going to attempt to take a photo every day this year. Could be challenging. I’ll post up a few on here, but otherwise all the action will in my flickr page, in this set. So to start off, here we go.